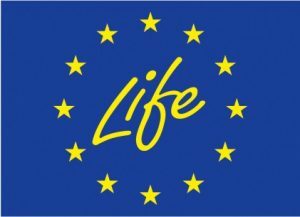 LIFE is the EU’s financial instrument supporting environmental, nature conservation and climate action projects throughout the EU. Since 1992, LIFE has co-financed some 4.306 projects. For the 2014-2020 funding period, LIFE will contribute approximately €3.4 billion to the protection of the environment and climate (source: europa.eu website, 04/11/2016). LIFE Laser Fence project falls under the topic of chemicals because it will implement activities that are in line with the specific objectives for environment and health set out in the 7th Environment Action Programme. This project will substitute the use of hazardous chemicals as part of a broader, strategic approach for a non-toxic environment, thus resulting in the reduction of the impact of chemicals in the environment. Nowadays, chemicals legislation in the EU has been modernized and the use of many toxic or hazardous substances has been restricted. However, many challenges persist and this project will address some. Particularly this project will avoid the use of anticoagulant rodenticides because its use can lead to the intoxication of many non-target species, especially with regard to their transfer in the food chain. We are going to substitute the use of those chemicals by implementing the Agrilaser. In 2015, the European Commission has approved an investment package of €222.7 million from the EU budget to support Europe’s transition to a more sustainable and low-carbon future. The EU funding will spur additional investments leading to a total of €398.6 million to be invested into 144 new projects in 23 Member States under the LIFE Programme.